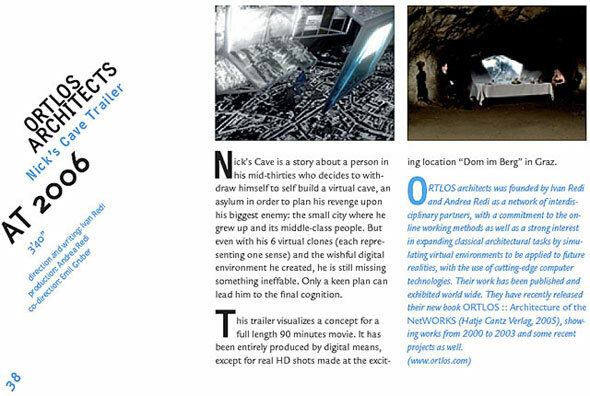 “Nick’s Cave”, architectural trailer by ORTLOS, has been included in the screening at renowned museum MAXXI Rome. The program has been published and it can be found herehttp://www.fondazionemaxxi.it/it/schede/architecture-visions-3. The screenings on September the 13th at 8.30 pm, are curated by Image from Florence, Italy, as a part of “YAP MAXXI” – the MAXXI summer program. More information about “Nick’s Cave” can be found here. More information about curators from Image here.